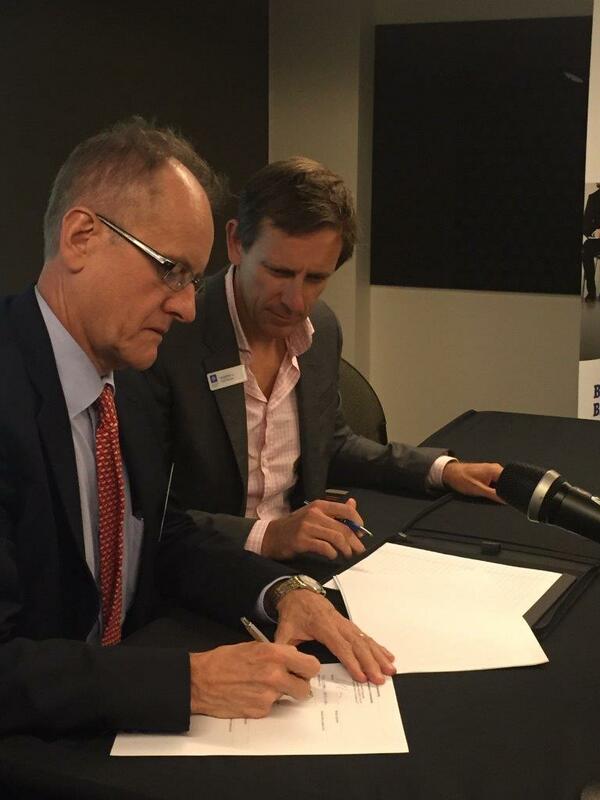 The Australian Institute of Management (AIM) and Queensland Education Leadership Institute (QELi) have announced a partnership to support the ongoing leadership journey of state-school education leaders throughout Queensland. The organisations will initially partner to provide mentoring support to 91 education leaders currently participating in QELi’s flagship program for state-school leaders, the Queensland Department of Education and Training’s Future Leaders initiative. Participants will enjoy a Membership package, and have exposure to a broad spectrum of leadership and management resources, current research, and mentoring. Neil McDonald, Acting Chief Executive Officer, QELi, says, “The partnership between Queensland Education Leadership Institute and the Australian Institute for Management represents a coming together of two of the nation’s leading leadership organisations. QELi develops leadership skills and knowledge of our education leaders, engaging up-to-the-minute evidence-based research and insights. We are excited to be able to also offer our participants a broader perspective of management, business and leadership writing and thinking, which will no doubt add value to every leader,” McDonald said. David Pich, Chief Executive, AIM, said he was delighted to have forged an association with QELi. “We anticipate seeing an exponential number of benefits for our school and education system leaders, starting with the opportunity to maximise the wealth of information, networks and resources in the mainstream leadership space. We are proud to be working with QELi at such an exciting time. AIM’s partnership with QELi represents an important opportunity for AIM to support the future of leadership in education. QELi have developed a reputation as a respected voice of education leadership and we look forward to working with their team in providing valuable resources to propel the future of school leaders” Pich said. 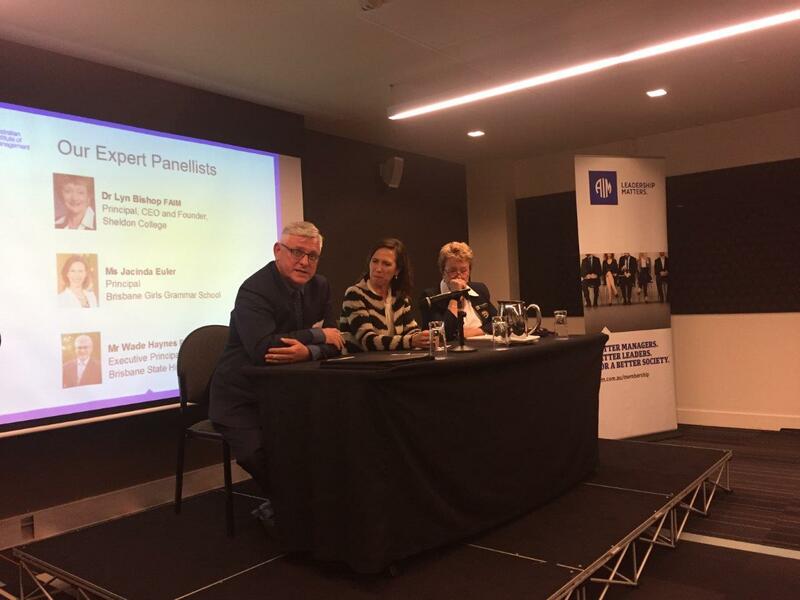 AIM and QELi launched this partnership with a panel discussion on the topic of Leadership in Education in early May at AIM’s Spring Hill offices, QLD. See photos of Neil McDonald, Acting Chief Executive Officer, QELi and David Pich, Chief Executive, AIM signing the Memorandum of Understanding at the event and the esteemed panel Dr Lyn Bishop FAIM, Principal, CEO and Founder, Sheldon College, Jacinda Euler, Principal, Brisbane Grammar School, Wade Haynes FAIM, Executive Principal, Brisbane State High School. Join AIM and QELi to celebrate this momentous partnership.